All Edits, add. FX and re-arrangement by RASCAL REVENGE. This I made April 2005, great track and the best from their 2. LP. is lend from a later "On The Edge" version by Tony Moran & Safire. reverse-intro here also. ENJOY ! 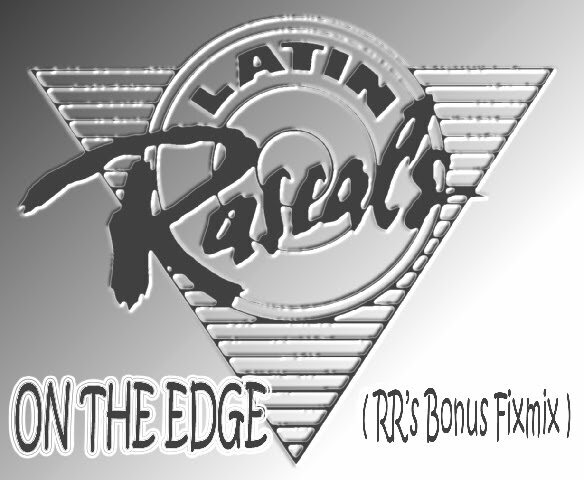 as the LATIN RASCALS. Thanks for all the timeless edits / productions, INCREDIBLE !!! CONGRATULATIONS TO MY GOOD FRIEND THE ONE AND ONLY RASCAL REVENGE FOR THIS EXCELENT LATIN RASCAL ON THE EDGE ( RR'S BONUS FIXMIX )ONCE AGAING YOU MADE IT MY MEN. MELVIN FROM ARECIBO PUERTO RICO.